All Relay ads are in full color. Why Advertise in The Relay? 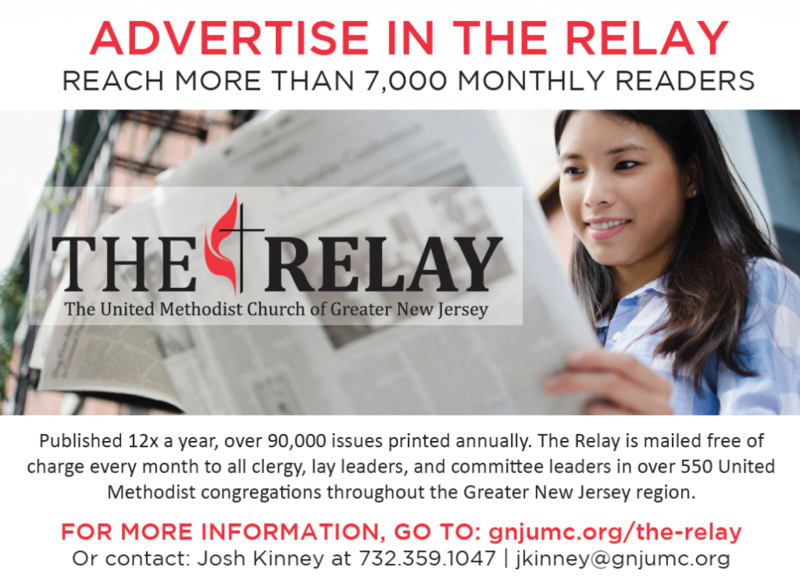 The Relay is mailed free of charge every month to all clergy, lay leaders, and committee leaders in over 550 United Methodist congregations throughout the Greater New Jersey region. Live throughout New Jersey and in approximately 50 communities in northeastern PA and southern NY. Advertising rates for The Relay are among the most competitive in the present print industry and are sure to be seen by a loyal, targeted readership. Who doesn’t love free? We’ll be sure to make your ad stand out. The Relay is sent to each church and a copy is shared with the congregation. Each month’s issue is kept around the parsonage, church office, narthex and community space for others to enjoy.